While many first think of real estate agents when considering the industry, there are numerous other careers in real estate. Appraisers, inspectors, loan officers and attorneys, just to name a few, are essential to the transaction. Guiding a client through the home buying or selling process is the general job description of a real estate agent. The career focuses on helping people and getting to know what clients want to achieve by buying or selling property. Real estate agents help buyers find the perfect home and sellers find the right buyer. It is through agents or attorneys that buyers and sellers work out agreements for a property. “Guide” doesn’t convey the true depth of the partnership between a real estate agent and her client, however. The real estate agent’s role is service before, during and after the sale. The career involves juggling many moving parts, emotions and even friendships. Building a strong relationship and trust is essential. As a real estate agent, no two days are the same. Adaptability and strong relationship building is key. The career demands strong organizational skills and the ability to juggle work and personal responsibilities fluently. Being a good listener, observer and communicator is critical. “Clients need to feel informed and confident every step of the way,” says Byers, “I am their partner and advocate before, during and after the sale.” For many real estate agents, it’s a humbling feeling to be part of such a major event in the lives of their clients. 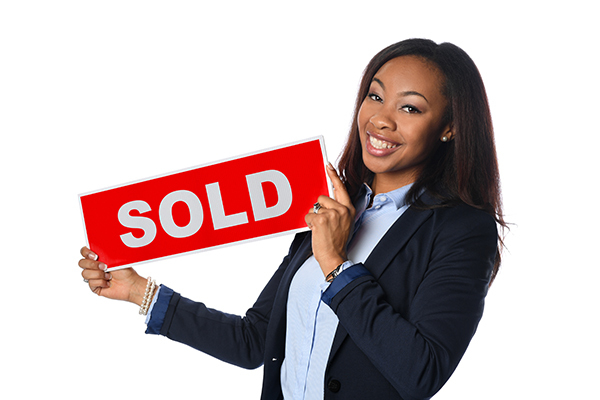 After real estate agents have connected the perfect buyer and seller and an agreement is in place, the title team enters. The focus of the title team is to finalize the transaction and ensure the title of the property is clear. Unpaid taxes, assessments or other issues related to the property must be resolved. Surveyors painstakingly measure and document the property. Then the detective work begins. An examiner collects and reviews all historical documents of the property and makes sure the buyers are aware of every inch of it. Are there any easements? Do the fences truly represent the property lines? Is the title clear? The search can stretch back to the 1800s. The title folks make sure everyone understands and agrees to what is being purchased. They register the sale with the county and state, while attorneys ensure the transaction is legal. What does it take to be part of the title team? Flexibility and being detail oriented are critical characteristics. Those in title are good with people and able to make real connections. Teaching and educating clients are surprising components of the roles in title. In addition to the people component of real estate, there is, of course, a large financial element. For most buyers, their home is the most expensive buying decision they will make in their lifetime. The customer’s bank works closely with title and real estate agents to manage the financial aspect of the sale. The customer’s bank team continues the personal touch of the real estate industry and provides individual service to save customers as much money as possible on their loan. “Loan processors and assistants seek to make the financial arm of real estate easy and as painless for their customers as possible,” says Amy Ross, loan assistant at Rochester’s Foresight Bank. Lending staff and credit analysts can help with prior approval for a mortgage to assist customers with determining their price range even before the buyer connects with their real estate agent. Changing interest rates and loan offerings can create a confusing landscape for buyers. Loan staff guide customers in financing and loan selection and help customers find the right loan fit. The loan staff also answers questions, assists with insurance and manages the transfer of payment from buyer to seller. Additionally, the mortgage team helps coordinate necessary property appraisals to review the value of the property. They also manage escrow. Compliance reviewers make sure everything is in line with current rules and regulations. Loan processors and assistants oversee the closing to help the buyer through the process and remain as the customer’s contact for any questions or issues with the loan. “It’s the most challenging and rewarding job I’ve ever had,” says Byers who has been a real estate agent for two years after owning a gift and home decor store in Rochester for 16 years and working as a corporate buyer for a big box retailer. Erin Pagel is a freelance writer living in Rochester. This entry was posted in Personal & Professional on September 7, 2018 by Erin Pagel.